How to Buy Property in Toronto There’s no foreign buyers’ tax, but there are other taxes to consider Toronto, a diverse and cosmopolitan city, is popular with buyers from all over the world. “Toronto is Canada’s largest city, with a well-deserved reputation for a high quality of living, low crime, generally favorable weather, vibrant arts and cultural institutions and a multitude of ethnically-diverse neighborhoods,” said Paul Johnston, a Toronto broker with Right at Home Realty. Mingle all the way: There’s a small-town vibe on the street where the two Pauls live. “You see all these dinner parties going on and it’s incredibly animated,” says Paul Johnston. “We wave to our neighbours from the sidewalk. And when we’re inside having dinner, it’s great fun to realize there are people walking by.” Johnston and his partner Paul O’Brien credit the large, multiple windows in their contemporary townhouse for fostering the everyone-knows-everyone feeling. 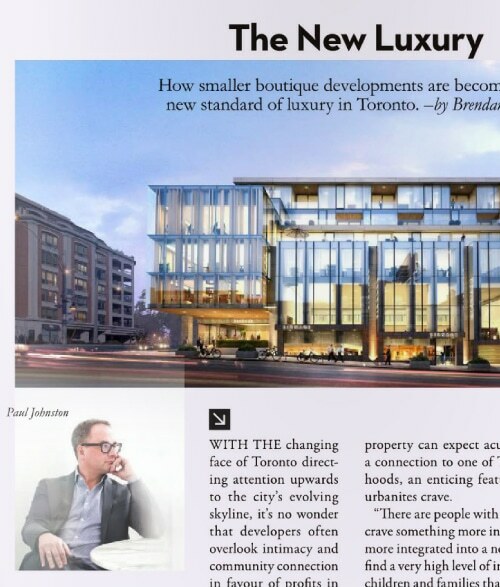 Demand for homes in downtown Toronto has never been higher, with neighborhoods like Rosedale, Forest Hill, Trinity-Bellwoods, West Queen West and Yorkville having grown exceedingly popular, said Paul Johnston, a real estate agent with Right at Home Realty in Toronto. “I really do believe that Torontonians really walk the walk in a lot of that talk about walkability and pedestrian access to area amenities,” he said. “This is a pretty high priority for buyers.” Mr.